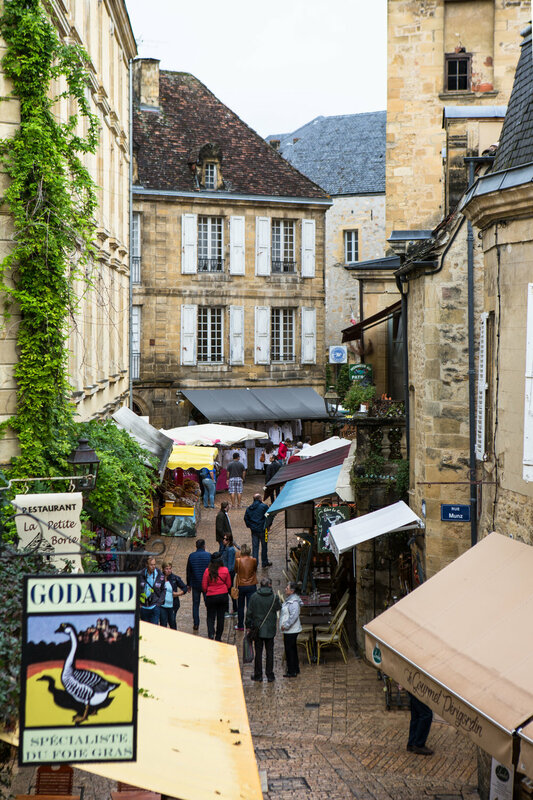 There's so much to see in Dordogne valley area and I've taken so many photos that I have to share them with you in 2 posts! Martel is another picture-postcard medieval town that is so worth visiting. 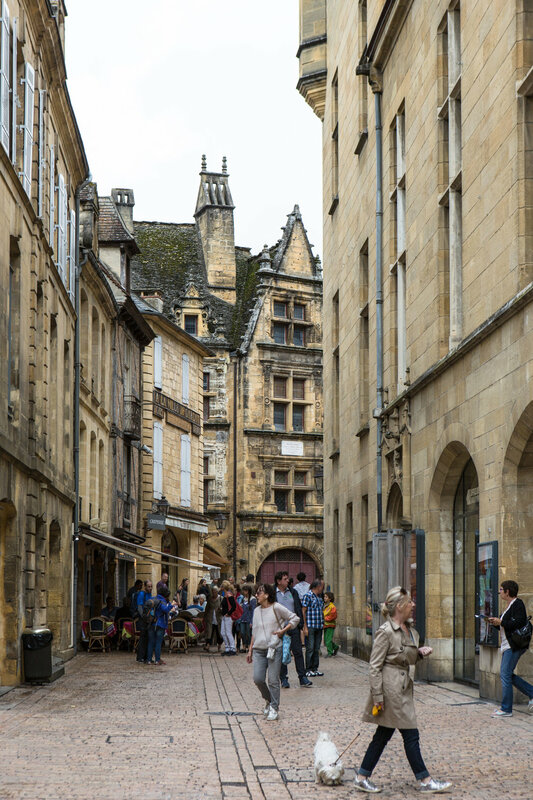 Sarlat is a slightly bigger town in the region, known for its food market. 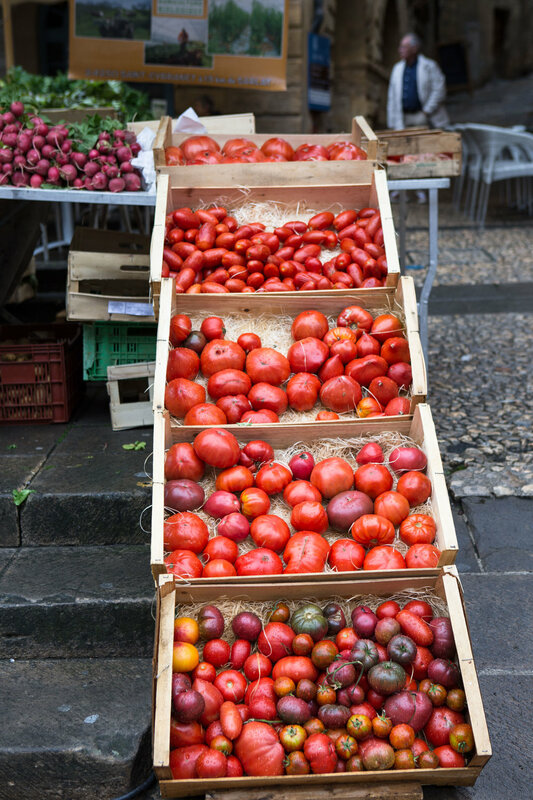 If you are looking for French delicatessens this place is for you - foie gras, cheeses, salami, fresh fruit and veg - you can find everything there! It is very lively in the morning when the market is open and becomes a bit quieter later in the afternoon after all the shopping is done. Incredible view over Dordogne valley from Domme. La Roque-Gageac is probably one of my favourite villages in the region. The village was built on a cliff that protects it from the cold weather from the North, while the open view to the South ensures it catches plenty of sunshine. All this creates a perfect climate for exotic plants like palm trees, agaves, fig trees, cacti and bamboos! The cliff houses were first built by troglodytes (people who live in the caves) and some of the buildings have survived from as early as the 12th century. 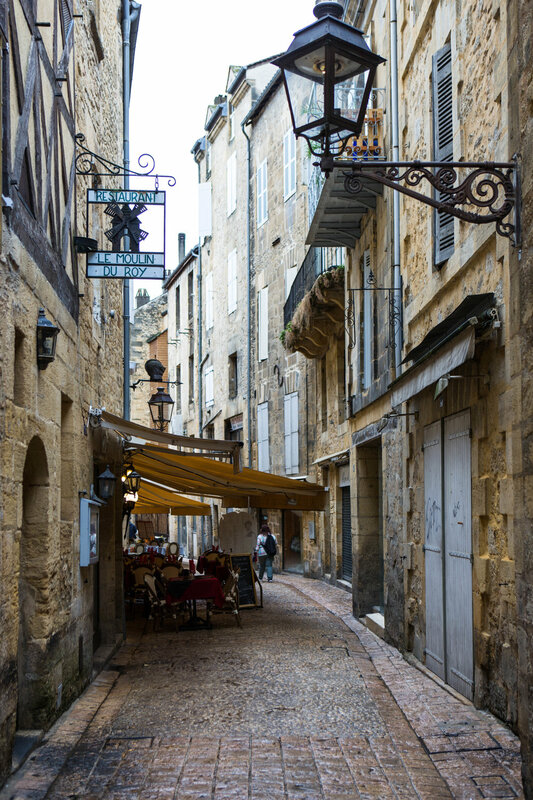 Beynac-et-Cazenac is another pretty hillside village with a magnificent castle at the top. Some of scenes of Chocolat movie were filmed here! 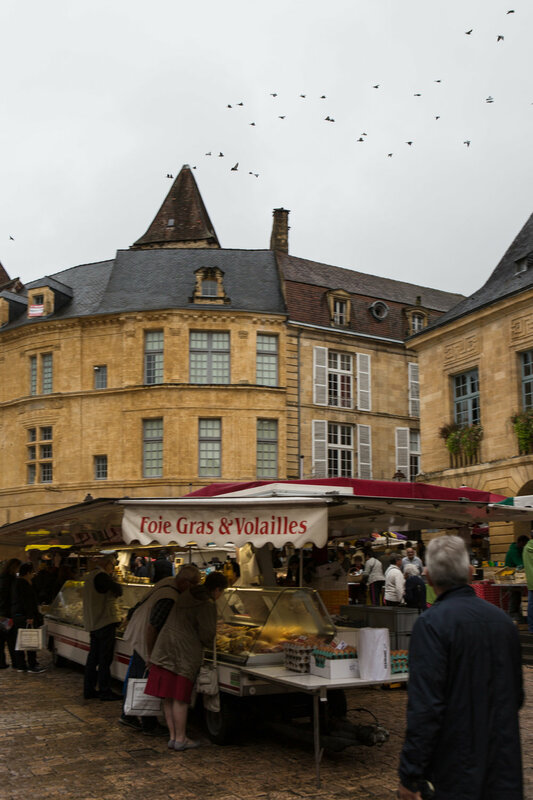 I visited the region as a guest of Dordogne valley tourism boards. You can find more information about the area here and here.